Found 8 file extension associations related to Novell GroupWise for Linux and 7 file formats developed specifically for use with Novell GroupWise for Linux. GroupWise is a cross-platform collaborative software product from Novell, Inc. offering e-mail, calendaring, instant messaging and document management. GroupWise can operate on a number of server and workstation platforms. 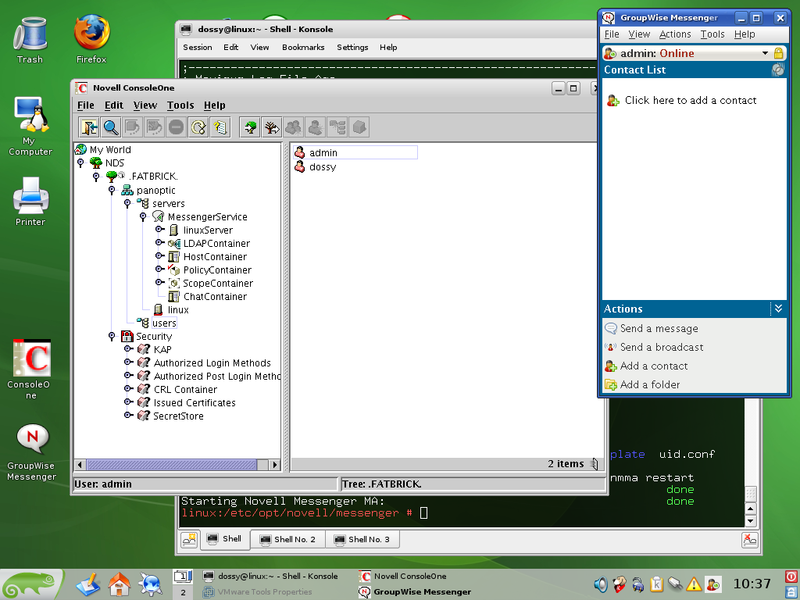 Server platforms include NetWare, Linux, and Windows. There is a Windows client and a less-capable Java client for Linux and Mac OS X. There are also GroupWise connectors for Microsoft Outlook and Novell Evolution. GroupWise WebAccess provides users with most of the functionality of the desktop clients from a Web browser. It also supports handheld/PDA access via the Web. The GroupWise Post Office Agent (POA) supports IMAP and SOAP access to user mailboxes, in addition to the native client. The GroupWise Internet Agent (GWIA) provides SMTP communication to other E-Mail systems, and also supports IMAP, POP3, SOAP, and iCalendar access to user mailboxes. Additionally, special modules called gateways support direct connectivity to other groupware systems such as Microsoft Exchange Server and IBM Lotus Domino. GroupWise includes instant messaging since version 6.5. The solution is targeted specifically at the corporate market with features such as directory service integration and SSL encryption. In addition to the Windows and Linux clients provided by Novell, the protocol is supported by popular multiprotocol IM applications such as Kopete, Pidgin (previously known as GAIM) and Adium. GroupWise is included in the Novell Open Workgroup Suite and its precursors, the Novell Small Business Suite and the Novell Linux Small Business Suite. If you need more information please contact the developers of Novell GroupWise for Linux (Novell, Inc.), or check out their product website.